i was just flicking through all my past posts and can u believe that this is my 2nd year of blogging!! Cuz i started in March 2012 and now we are in 2014!! 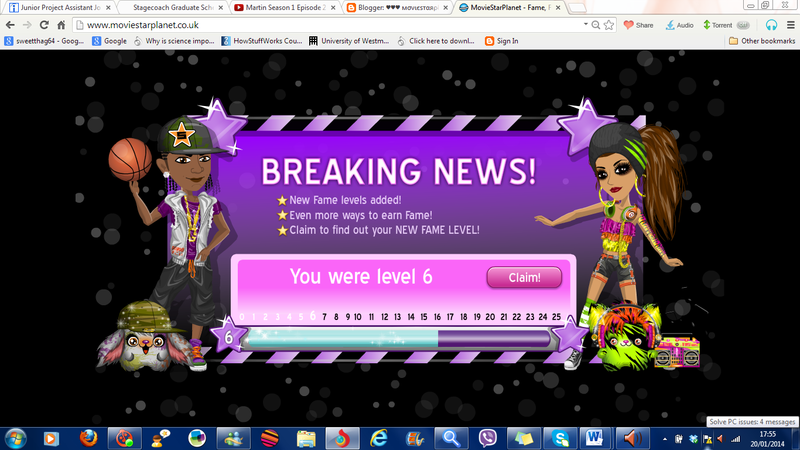 Anyway so i was on msp and i logged on today and it said " u were level 6" which was weird cuz i thought to my self, what do they mean "were".So then i click continue and then it said congratulations or something lyk that and my fame bar automatically moves from lvl 6 - 11, which is weird but i was soo happy about, i dont even remember moving up to lvl 7!!! 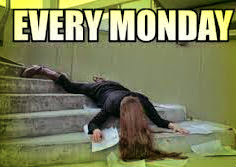 Maybe this is a glitch!! 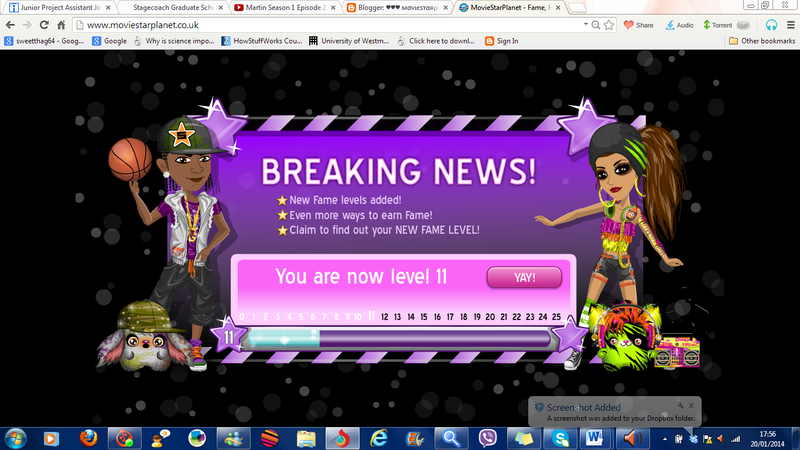 Luckily i manged to take a snap shot for u guys to c.
i went on the forums and msp said that they were doing this to ALL moviestars as there is going to be a new change in the fame levels! I am sooo happy msp has changed! Random Question : is Tomato a fruit or vegg? 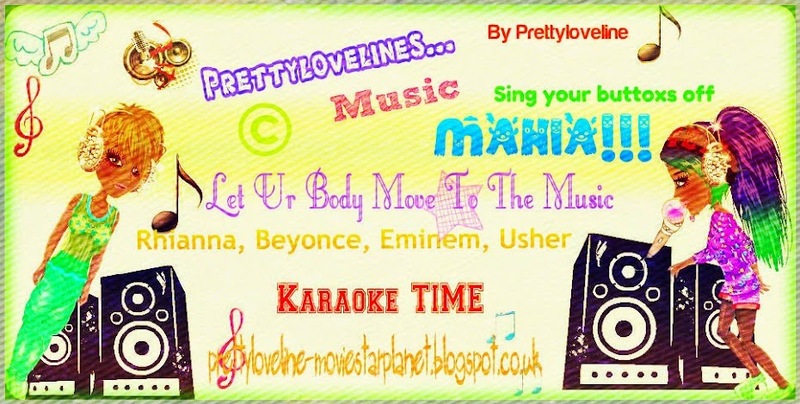 p.s - i still haven't made an instagram account for prettyloveline but i am slowly working on it! I have decided that i want my name to b Prettyloveline_msp , and that will b my instagram account where u can follow me for msp and c pictures of me and msp.I have not made the account yet so plz do not start looking for a Prettyloveline_msp right now! cuz i guarantee u, i am not there yet!